Enter now the Hamilton Beach 12 Days of Giveaways to get a chance to Win 1 of 12 Hamilton Beach appliances. This contest is open to legal residents of Canada (excluding the province of Quebec). 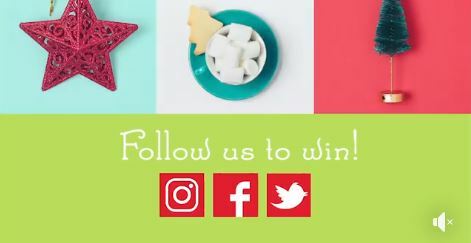 To enter you have to visit the official Hamilton Beach Canada Facebook, Twitter or Instagram page and like/follow it, then locate the contest post on each social media (you can click here for Facebook, here for Instagram and here for Twitter) tag a friend and comment saying your favourite kind of milkshake and using the #12DaysOfHB hashtag. The contest closes on December 14, 2018. Winners will be selected by random draw from all eligible entries received during the contest period. There are 12 prizes available to be won, each consisting of a home appliance to be announced. The Hamilton Beach 12 Days of Giveaways begins on December 3, 2018 and ends on December 14, 2018. The draw will take place on December 18, 2018. Winners will be contacted by direct message on Facebook, Twitter or Instagram.